Dr. Gerould Wilhelm: ?Consilience, Concinnity, and The Way? Doug Taron: ?Butterflies of the American Prairie? 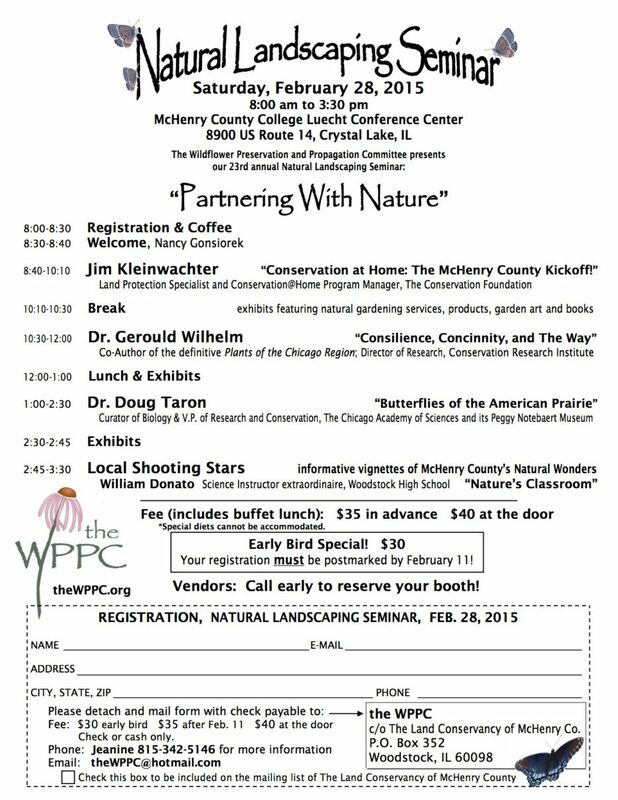 Jim Kleinwachter: ?Conservation at Home?The McHenry County Kick-off!? Register now – download the registration form.